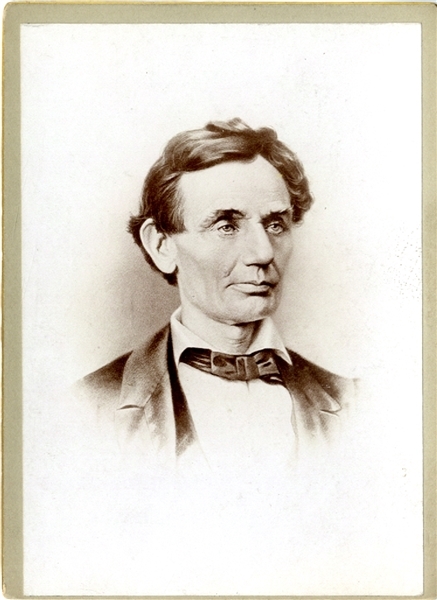 Rare cabinet card photograph of Abraham Lincoln, beautiful light chocolate tones, tight trim, stamp of P.S. Rogers on verso. Fine condition.